Brian Strahl and his band of biochemists unravel the complicated mysteries of the epigenetic code to find a culprit in cancer development. Every single human cell contains every single human gene. But depending on the cell, only some of these genes need to be expressed or “turned on.” For instance, a heart cell has all the genes needed for proper kidney function. But that heart cell won’t express those genes. In a heart cell, those genes are turned off. When one of these “wrong” genes is turned on by mistake, the result can be rampant cell growth: cancer. How this happens used to be the stuff of science fiction. Now, scientists know that there are tiny proteins—epigenetic proteins—that sit atop the genetic code inside cells. These proteins are responsible for turning the genes on or off. Now, UNC researchers have discovered what one gene-regulating protein called Bre1 has to do in order for other epigenetic players to work properly. It’s a key coordinator in the sort of cellular scenes that can turn a healthy cell into cancer. Within each cell of the body is an ongoing and intricate performance with genes playing some of the leading roles. As with all performances, the actors do not act alone, but instead rely on support from behind the scenes. This supporting staff provides the script and cues for what the genes are supposed to say and do. Important members of the support staff are histones: the proteins allow the plot to unfold perfectly. 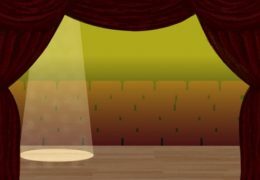 Unfortunately, sometimes cues are missed or lines are forgotten, and the show doesn’t go as planned. This causes the actors to speak when they should be quiet or stay quiet when they should speak. And if one of these actor genes happens to be essential for, say, cell growth, then the result can be disastrous. The actors take the story in an unintended direction. All this supporting staff is part of epigenetics—“epi” meaning on or above—a field that focuses on the environment and the players that allow our genes to act. Strahl, who’s a member of the UNC Lineberger Comprehensive Cancer Center, says major questions surround how histones wrap up the DNA into chromatin—a structure that allows or denies access to the genetic information inside our cells. This is what Strahl studies. His goal is to figure out precisely how histones contribute to basic biological functions and, in turn, contribute to cancers and other diseases. Adding a twist to this idea, however, is the fact that not every histone is the same. These chemical tags come from a variety of sources: mainly the food we eat, the chemicals in our environment, and the various biological chemicals that simply make us tick. Proper nutrients, for instance, allow for the formation of chemical tags to direct the histones to activate genes in the proper ways. Nasty environmental stuff, such as cigarette smoke, can mess up the epigenetic machinery. Yet, these chemical tags are not ultimately in charge of the genes. Another layer of proteins above the histones are responsible for putting on the chemical tags. “Something has to ensure that these chemical tags on histones are regulated properly, to ensure that the tags are only present on the right genes at the right time,” Strahl says. Strahl and graduate student Glenn Wozniak focused on one of the proteins that add these chemical tags: a protein called Bre1, which keeps one tag—ubiquitin—in check. In a sense, Bre1 hires ubiquitin; it allows ubiquitin to do its job. Ubiquitin is known to help a histone open up the cell’s chromatin to expose genes for activation. When ubiquitin is finished, it’s removed from the histones, and the genes become inactivated. If this process goes awry—if the genes are allowed to remain active indefinitely—then normal cells can turn into cancer cells. And the entire cellular performance collapses. Until now, how this happened was unclear. Through a series of experiments, Strahl and Wozniak found that, like the chemical tags themselves, a precise amount of Bre1 must be maintained to ensure that just the right amount of ubiquitin is added to histones. Strahl and Wozniak’s finding illuminates what had been an epigenetic mystery. Scientific literature on Bre1 had been mixed. “Some studies indicated that Bre1 had a role as a tumor suppressor,” Strahl says. “Other studies showed that it’s a cancer promoter. So there’s been conflicting evidence about all of this. Now we know. If there’s too little Bre1, the gene won’t turn on.” This could turn off the genes that protect the cell from cancer. “If there’s too much,” Strahl says, “then the genes might not turn off.” This could also trigger cancer development. 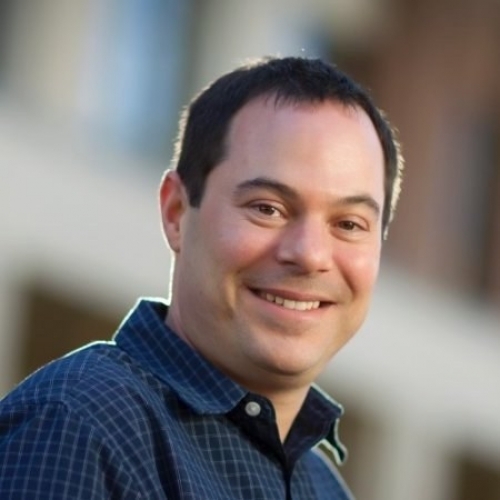 Brian Strahl is a professor of biochemistry and biophysics in the UNC School of Medicine. Strahl and Wozniak’s study appeared in the journal Genes and Development. The National Science Foundation funded this work.